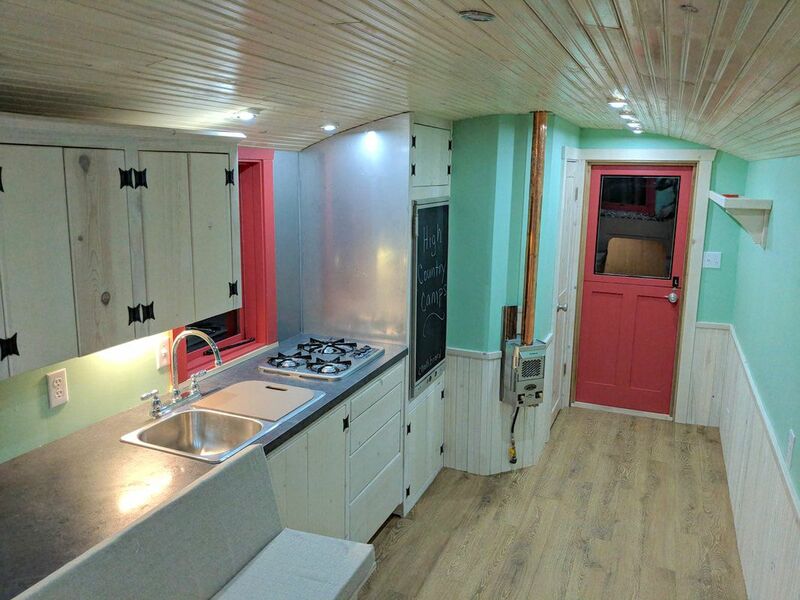 Both tiny homes and campers have experienced a surge in popularity over the past five years, with evangelists advocating a downsized life on the go. 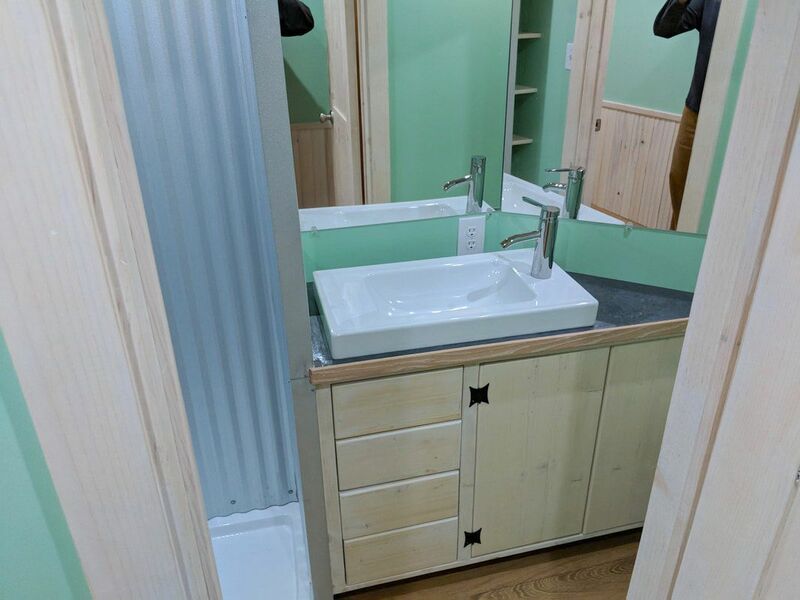 But many tiny homes aren’t very mobile, requiring large equipment to move from place to place. 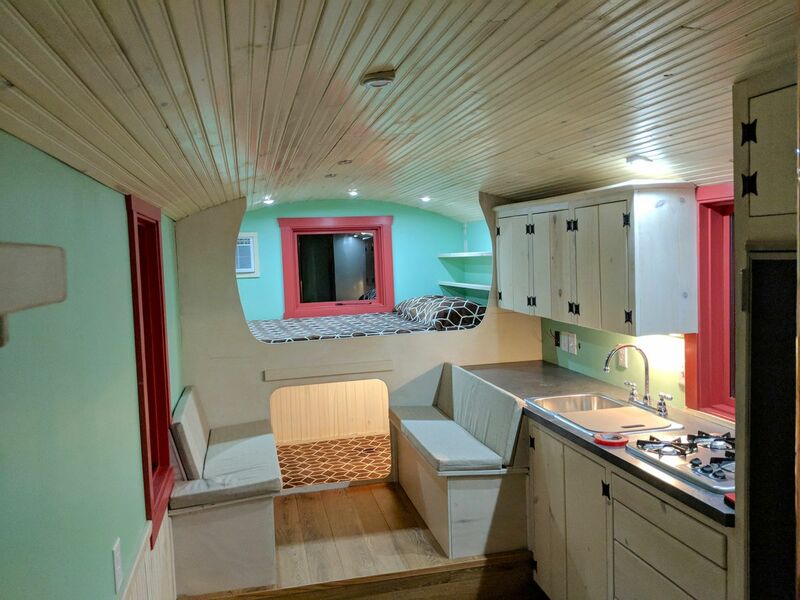 Meanwhile, some campers don’t offer much space, especially for families or people looking to live RV-life full-time. Love campers and RVs? Come join our community group! Colorado-based High Country Camps offers a solution. 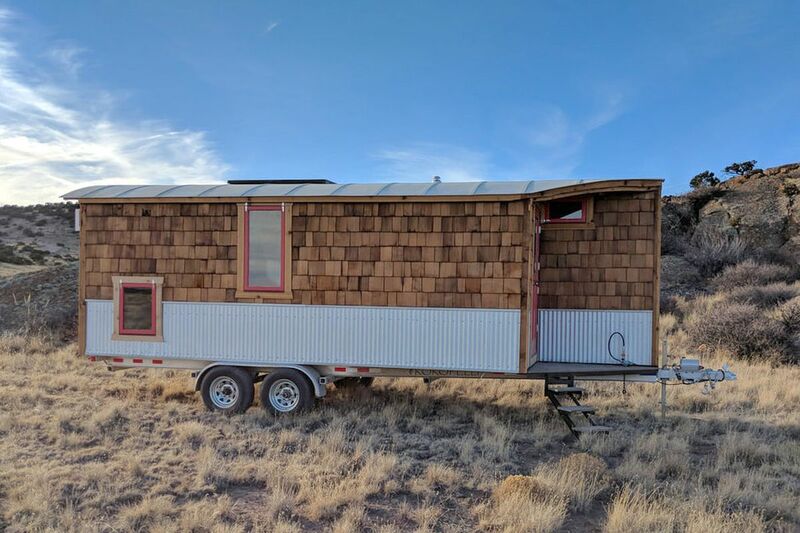 The part-tiny home, part-travel trailer was created when its makers moved from Alabama to Colorado. Originally they brought their fifth wheel trailer with them, but they soon discovered that mice and cold temperatures made it unsuitable to the harsh climate. 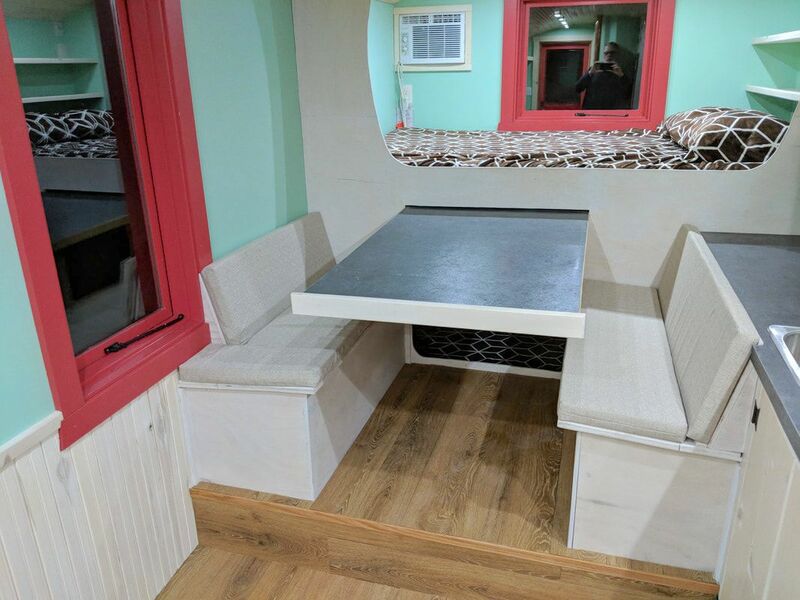 Different sleeping options are available—including bunk beds—but in the model pictured, two people can sleep comfortably over a well-lit storage area. 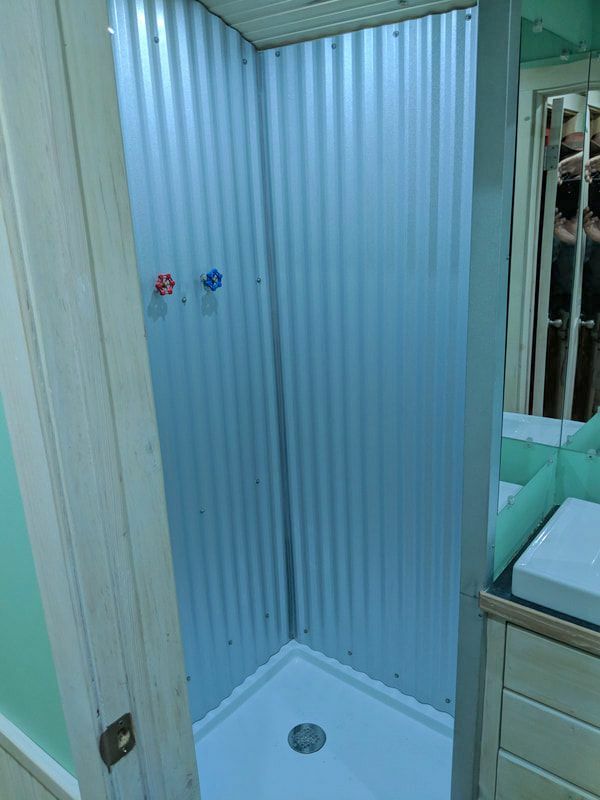 A decently sized bathroom is also included, with a 32 inch by 32 inch shower, sink, and toilet. 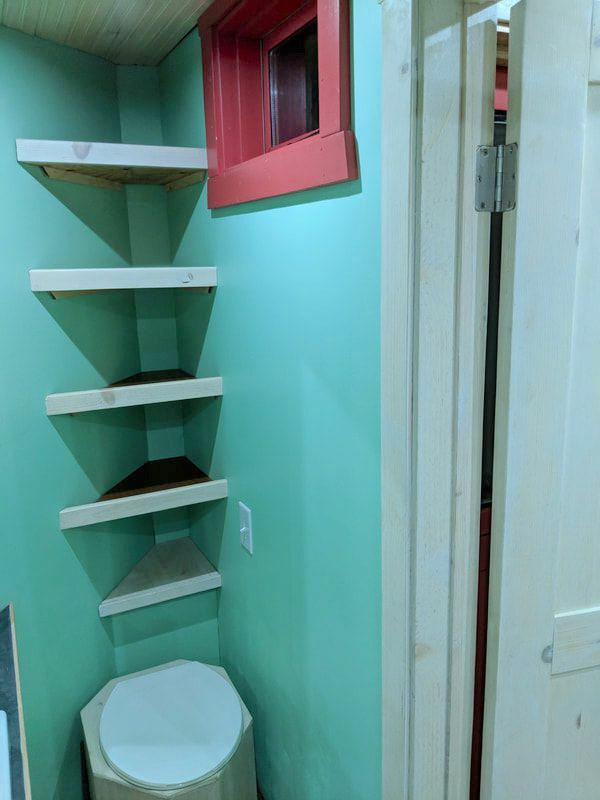 Finally, shelves, coat hooks, and plentiful storage are extra touches that make the High Country Camp feel more like a small apartment than a basic RV. 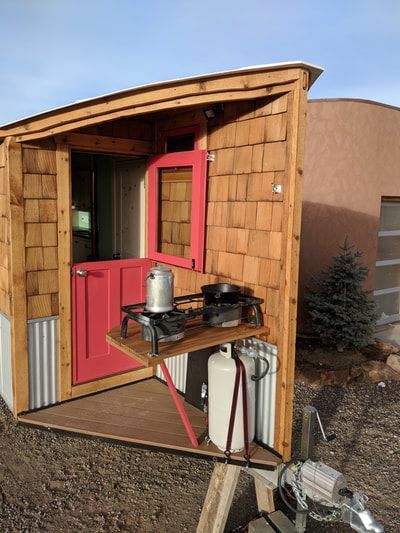 Because it is made to handle Colorado’s high mountain desert climate, the camper has been tested to -20 degrees Fahrenheit, benefiting from lots of insulation and a small propane heater. An air conditioner runs on a 2000 watt generator, and an aluminum frame and keeps the 27-foot camper just under 6,000 pounds. All lights and the water pump run on solar. We saw the High Country Camps trailer at the Sportsman Expo in Denver and appreciated its high quality construction. The trailers are currently listed for sale for $58,470, and if you’re interested in earning more, head over here.